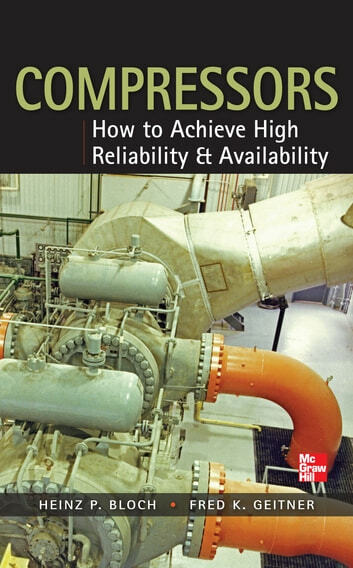 Written by experts with more than 100 combined years of industry experience in machinery failure avoidance, Compressors: How to Achieve High Reliability & Availability offers proven solutions to a pervasive and expensive problem in modern industry--compressor failure. This succinct, on-the-job guide addresses elusive causes of compressor failure and clearly maps out permanent remedies you can put to use right away. With a focus on centrifugal and reciprocating compressors, this accessible reference is based on real-world processes and procedures used by successful global companies.